Susan G. Komen is the world’s largest breast cancer organization, funding more breast cancer research than any other nonprofit while providing real-time help to those facing the disease. 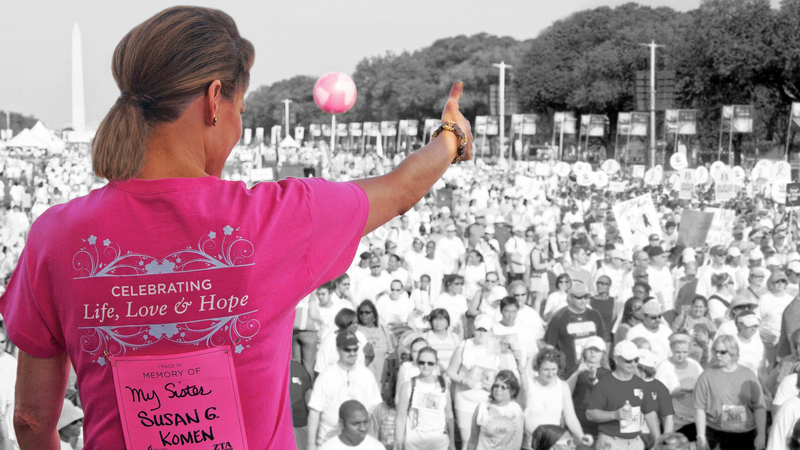 Since its founding in 1982, Komen has funded more than $920 million in research and provided nearly $2 billion in funding to screening, education, treatment and psychosocial support programs serving millions of people in more than 30 countries worldwide. Komen was founded by Nancy G. Brinker, who promised her sister, Susan G. Komen, that she would end the disease that claimed Suzy’s life. Susan G. Komen® has awarded more than more than $76 million for breast cancer research in Massachusetts, nearly $10 million for breast cancer research in Connecticut, $4 million for breast cancer research in Vermont and New Hampshire, $1.9 million for breast cancer research in Rhode Island, and $.5 million for breast cancer research in Maine.